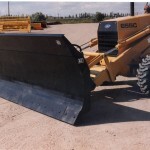 Automatic and manual locking system. Zero loss of break out force. Designed for severe service. 1 1/3, 1 1/2 and 2 yard general purpose. Drilled for bolt on cutting edge. 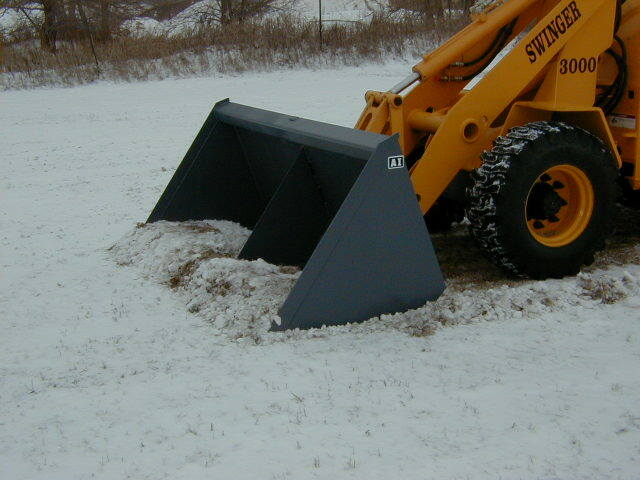 2 1/2 and 3 yard snow buckets. 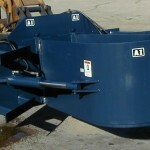 4 yard wood chip buckets. 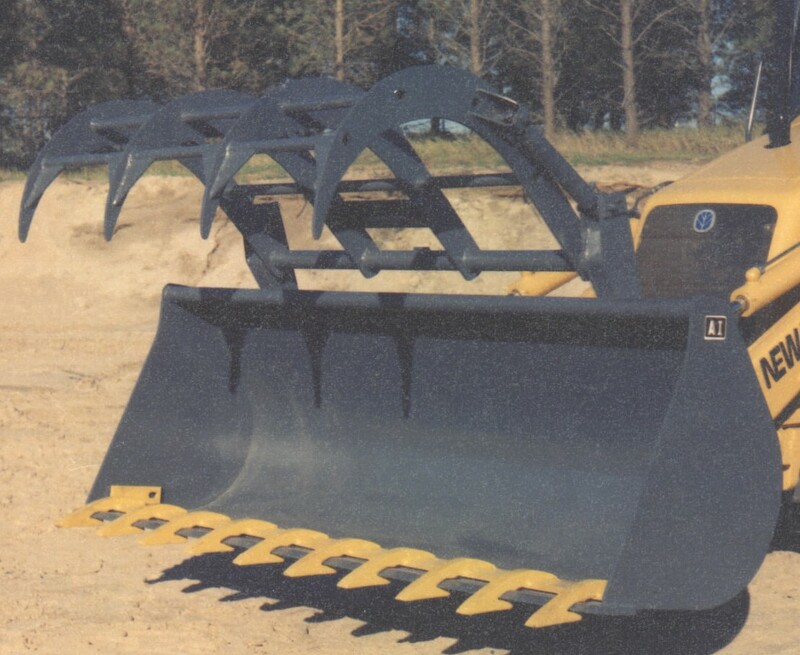 Designed for the toughest jobs. 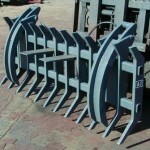 Hi-strength steel throughout. 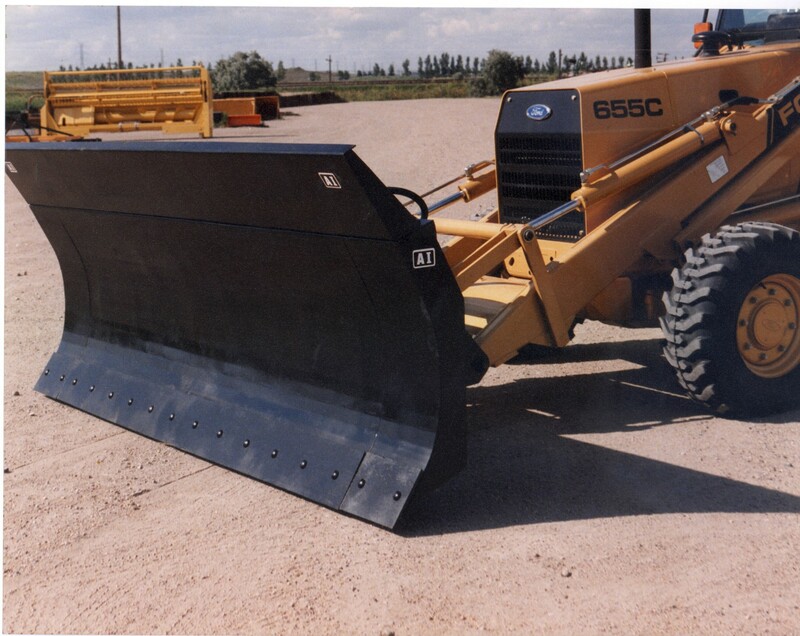 Designed for rocks, ditches, caliche, frost, etc. 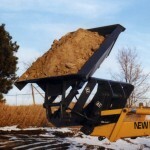 Standard capacity for fertilizer, wood chips, snow, etc. Ideal use is scraping and pushing standard sized loads. 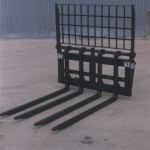 Designed to give T/L/Bs extra height in special job applications. 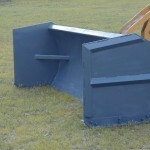 Designed for dumping of materal in hard to maneuver areas. 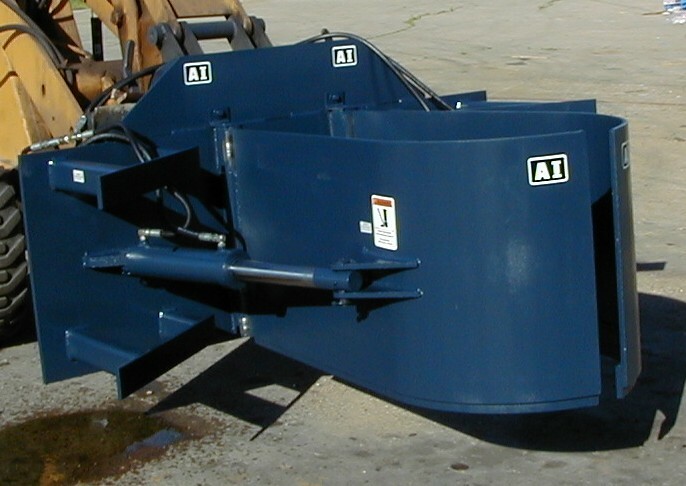 Allows side dumping into trenches or hoppers. 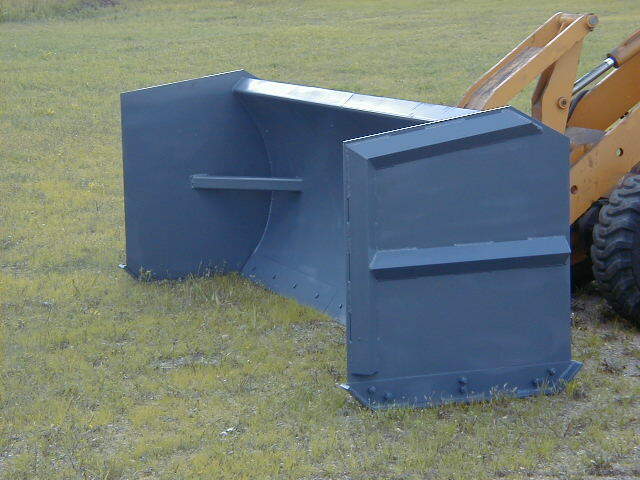 Severe service bucket. Loading, dozing and clam. 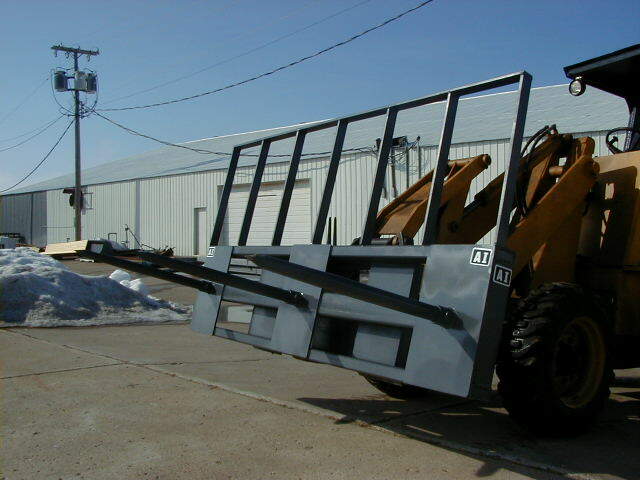 Models available for all loaders, any capacity forks. 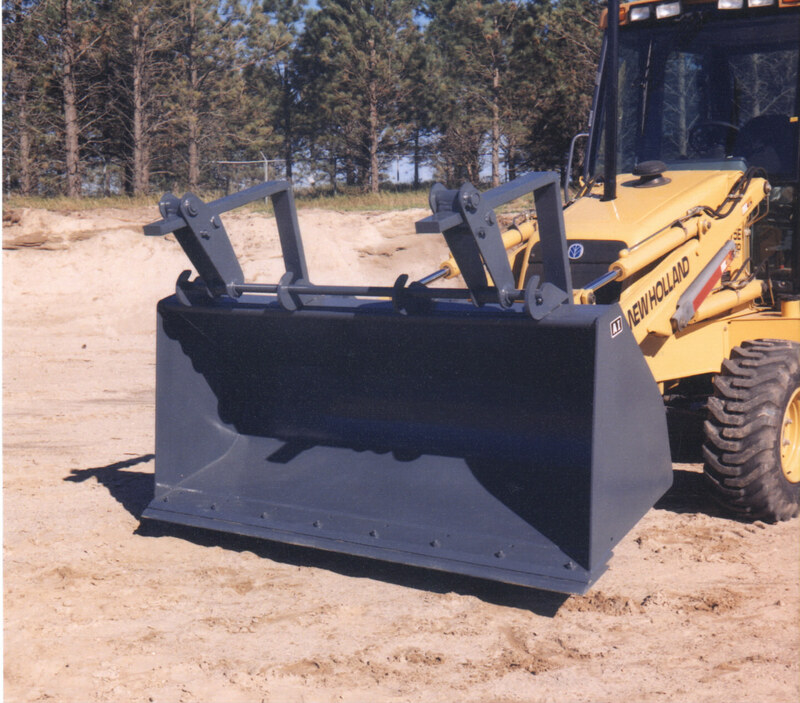 The perfect blade for your dirt and snow work. 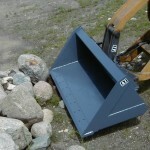 Ideal for scooping and sorting rocks. Optional grapple available. 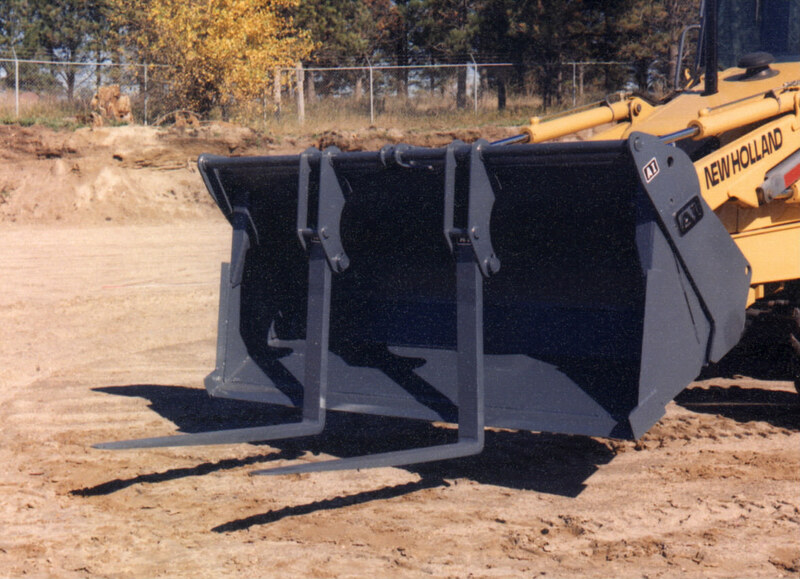 For most loaders. 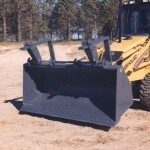 Works for digging out deep seated roots underground. 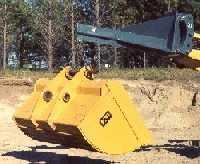 Optional elephant tine grapple available. 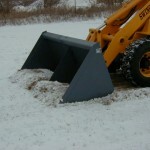 The AI grapple can be mounted to any loader bucket. 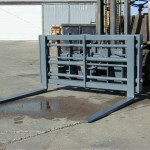 The brackets come with extra steel so the perfect fit can be achieved. 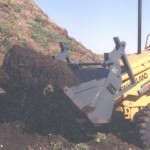 Medium duty and severe service available. 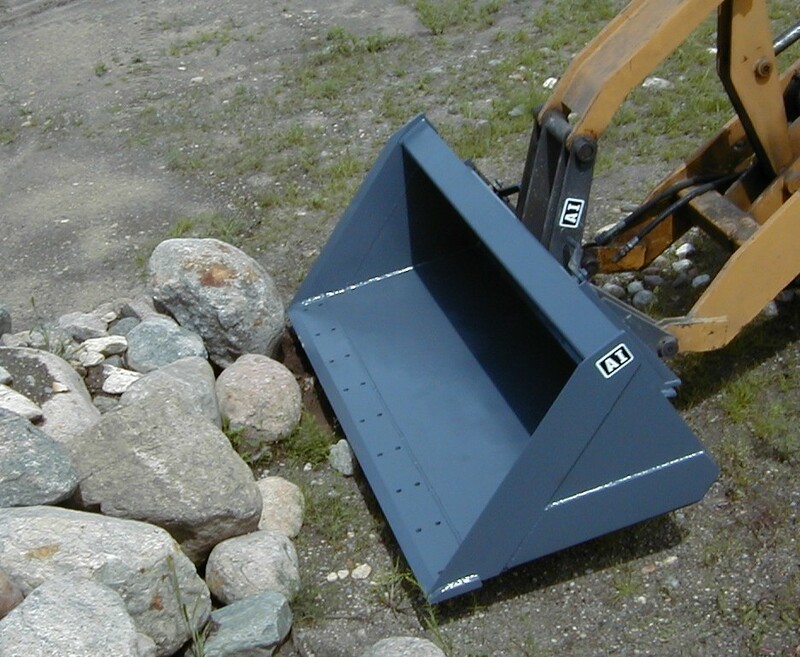 There are many uses for this retro-fit loader grapple. 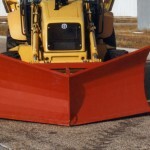 Fast, efficient snow removal. 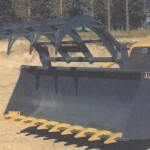 Designed for high speed plowing. 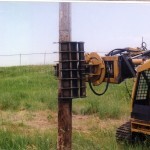 Bolt on reversable cutting edge. 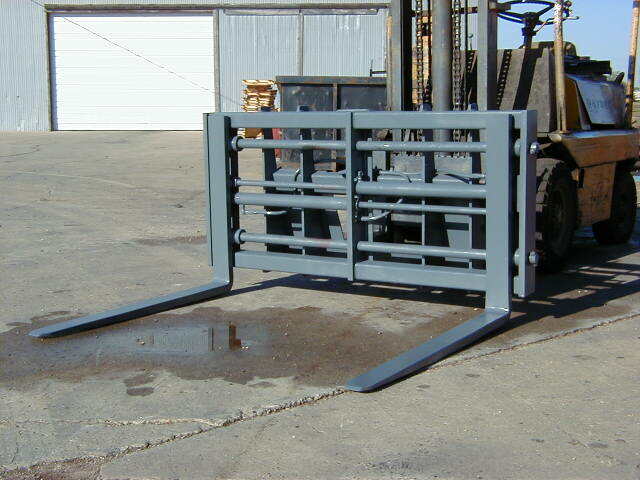 Ideal for bales. Spears are made of quenched and tempered steel. 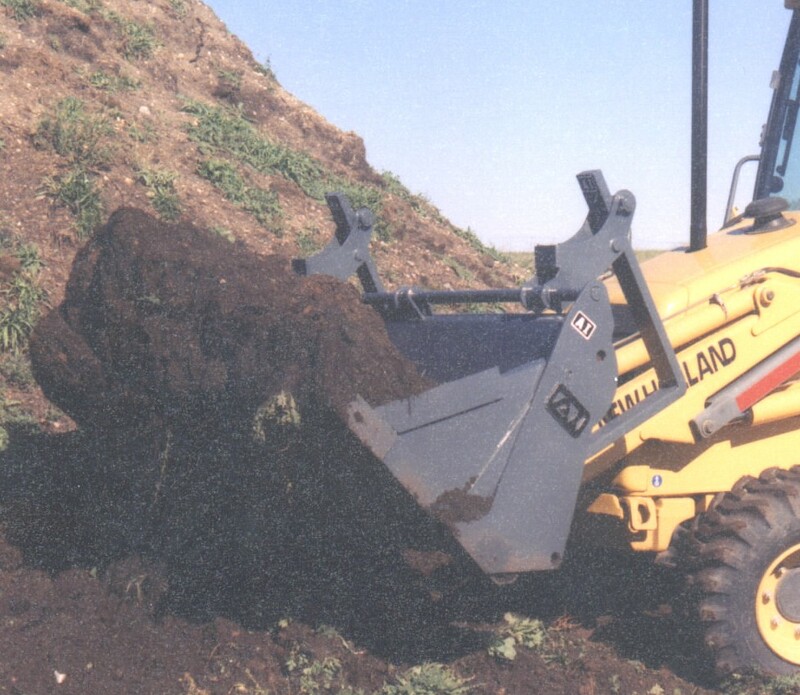 Field replacable. 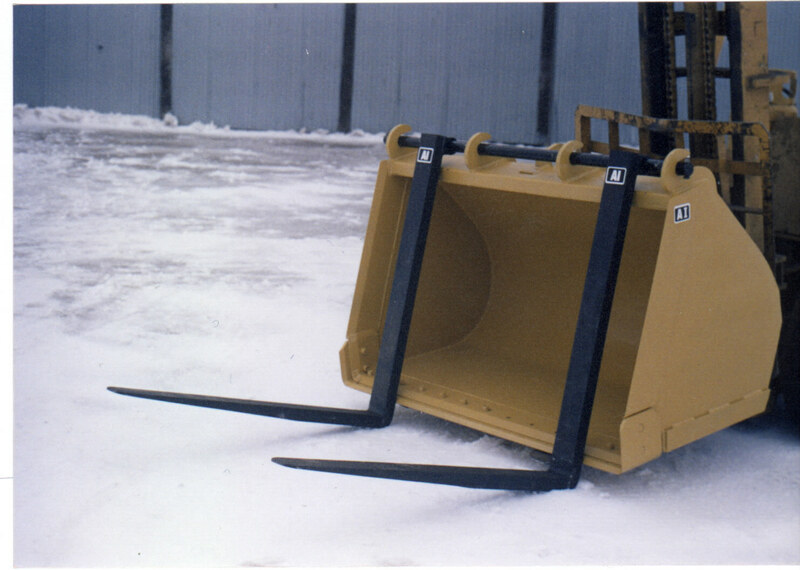 Designed to make pushing snow a breeze. 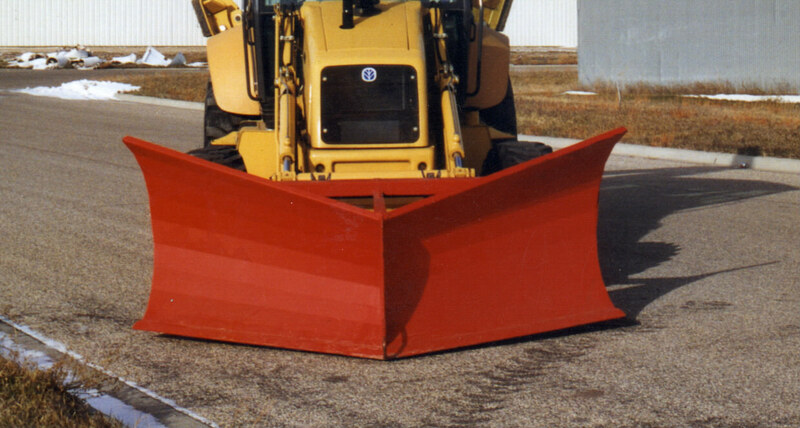 Helps guide the snow where it needs to go. 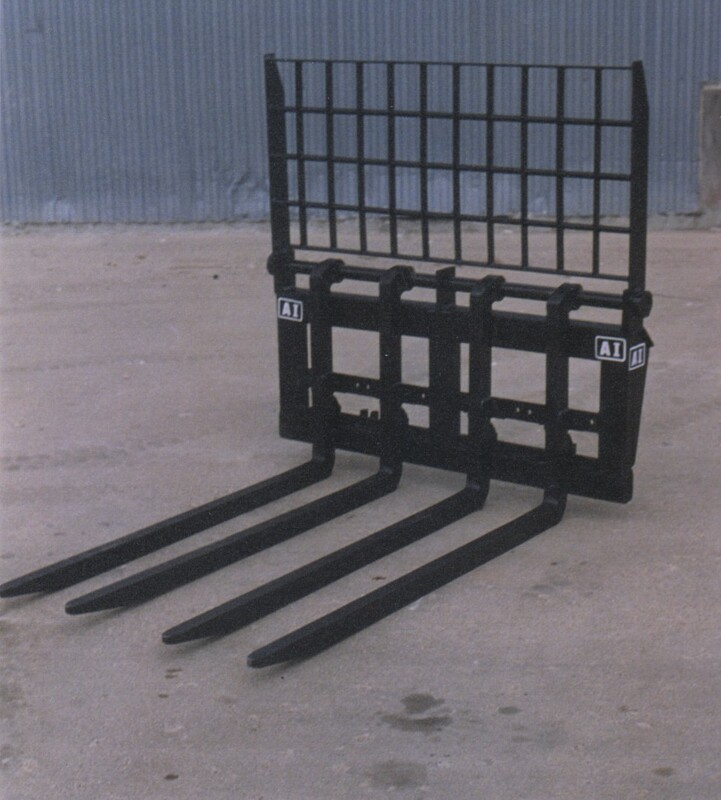 The AI fold over forks are ideal for many uses. 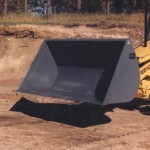 This design has the ability to hang from the bucket when needed and fold back over the bucket when not in use. 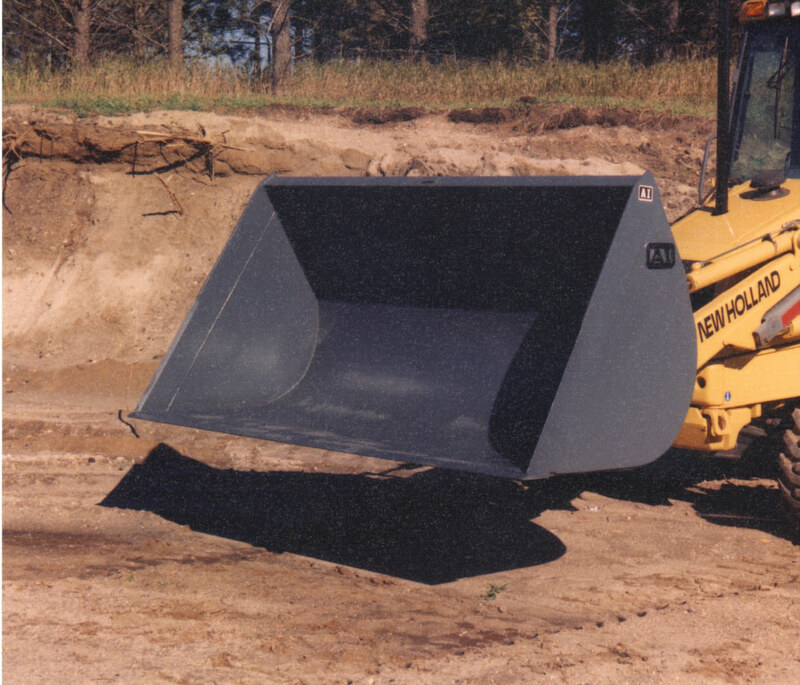 When folded over, they pin back out of the way for the bucket to be used unobstructed. 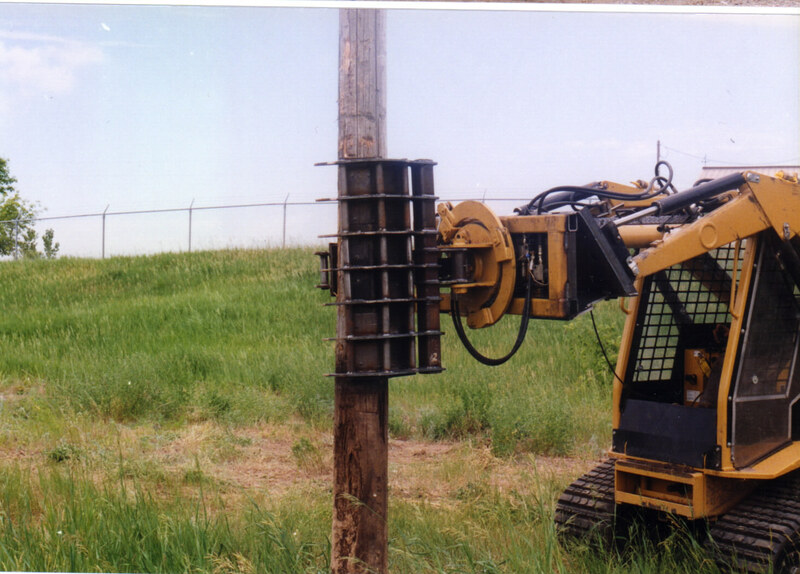 The ideal attachment for moving and placing large poles. 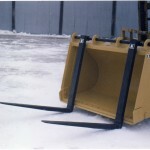 Block forks for the loader have a multitude of uses. 4 tine is standard, but extra forks can be added. 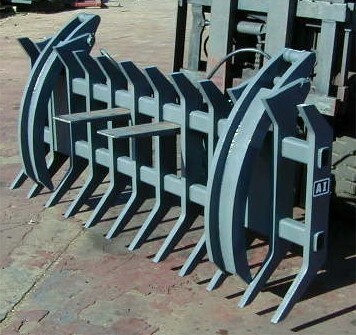 Ideal for loading blasting holes in the mining industry. 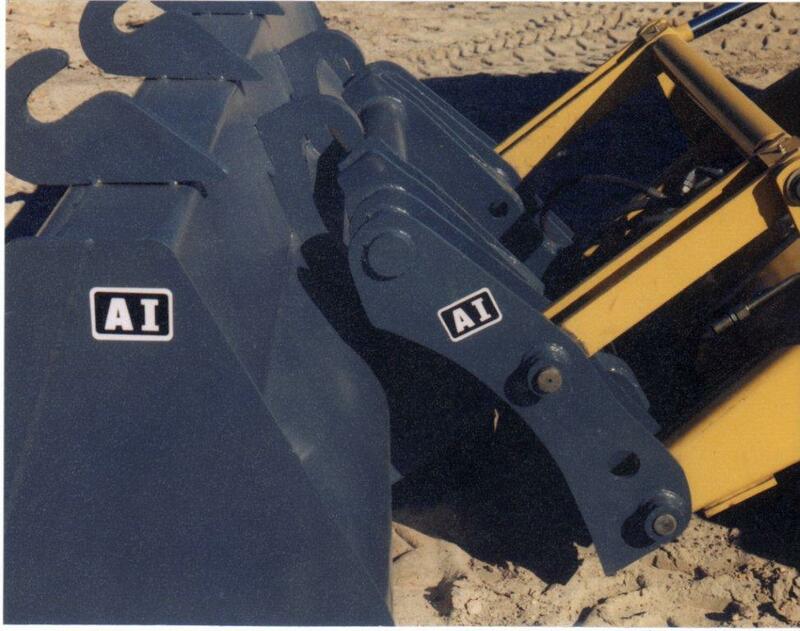 The AI top mount forks are ideal for many uses. 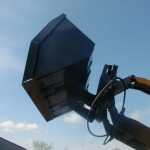 This design has the ability to hang from the bucket when needed and be taken off in under a minute when not in use. 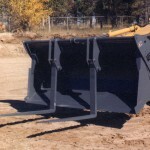 The brackets are welded directly to the bucket. 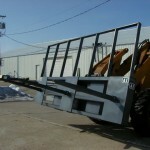 Fixed Length Booms. 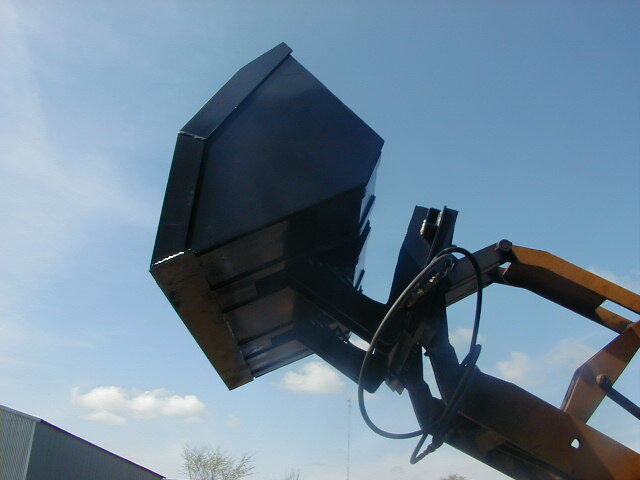 Adjustable booms to 12′ in length. 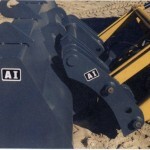 Attachments International | Powered by Mantra & WordPress.